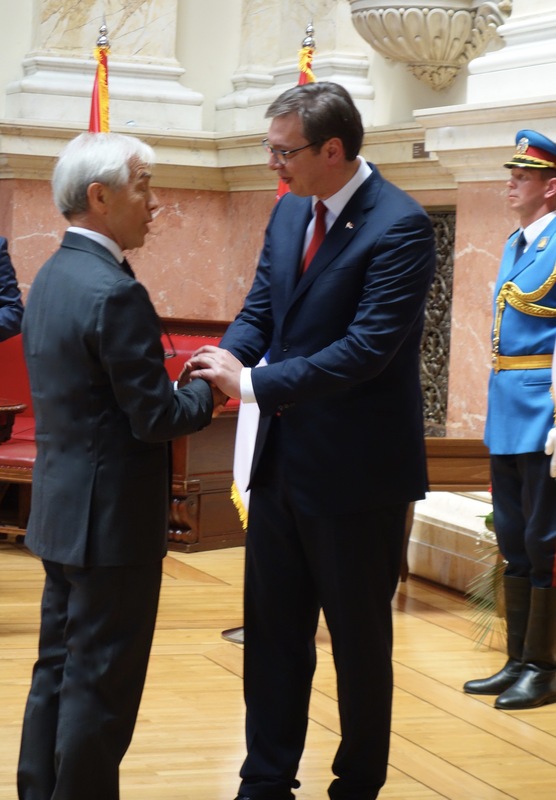 Continue their friendship and good relations between the new Presidency of the Republic of Serbia and the Sovereign Military Order of Malta. In September had a long and cordial meeting, the Advisor to the President Nikolic, Professor Oliver Antic, and Ambassador Alberto di Luca. H.E. 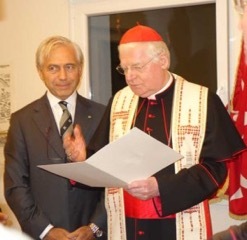 the Prince and Grand Master of the Sovereign Order of Malta, Fra’ Matthew Festing, during a solemn ceremony in the Palazzo Magistrale, has conferred on H.E. 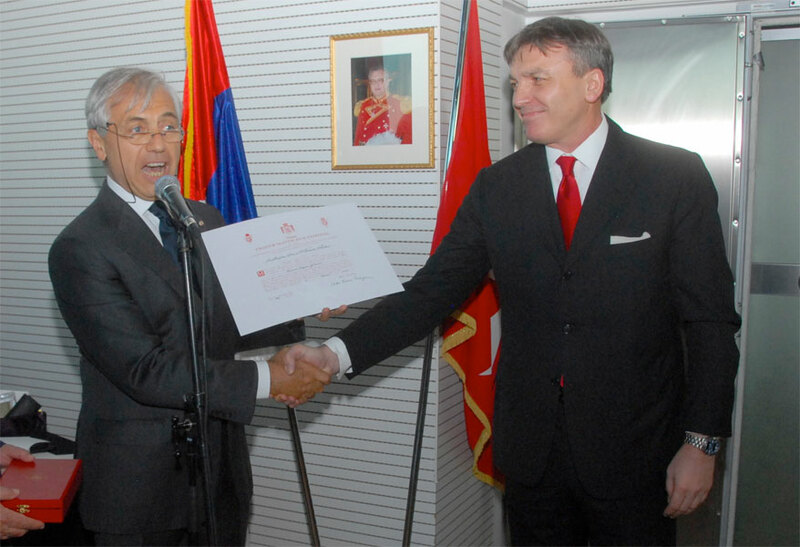 Vladeta Janković, Serbia’s Ambassador at the Sovereign Order, knighthood Grand Cross of the Order of Merit in recognition of his high merit throughout its illustrious and highly appreciated diplomatic mission. 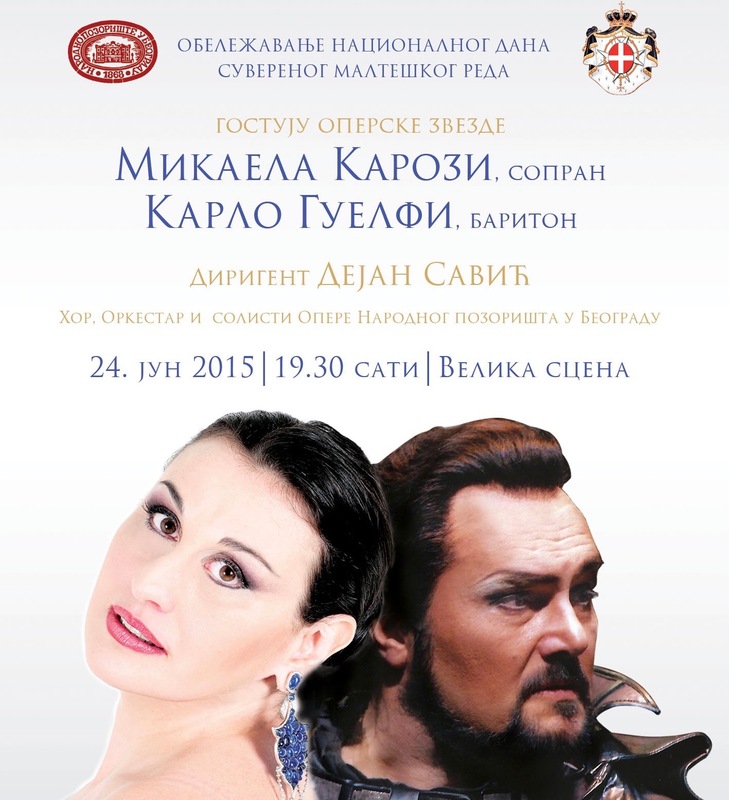 From left, from the Ortodox Church Dragan Tanasijevic. the Nuncio H.E. Mons. Orlando Antonini, H.E. 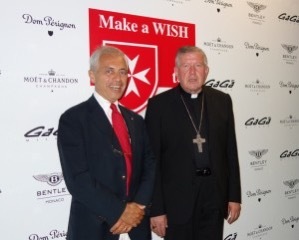 the Ambassador of the Sovereign Order of Malta Amb. Alberto di Luca, Hon. 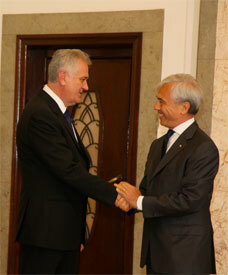 Nenad Prokic and H.E. 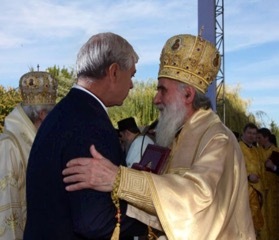 the Archibishop of Belgrade Mons. Stanislav Hocevar. A special bless by H.E. 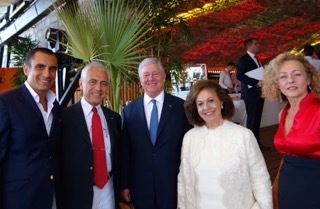 Stanislav Hocevar to the Ambassador Alberto di Luca , here with his wife, and some friends of the Sovereign Order of Malta, coming to Belgrade from Italy, France and Principality of Monaco. This morning was defined the date (June the 26) of the common Press Conference to be held to explain the detail of the support offered by the Ambassy of the Order of Malta in Belgrade, to support the Doctor’s Tower Nurdor – Help Them project. 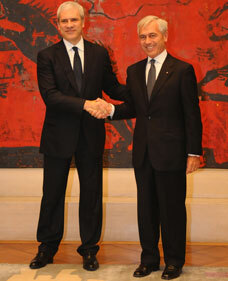 Here in the picture, Professor Djorje D. Bajec and Ambassador Alberto di Luca. Belgrade, have been defined formalities of the transfer of the donation of the italian non-profit organization Help Them at the Clinical Center of Serbia. The funds raised at theauction organized by the il sole 24 ore, will help the realization of the Doctor’s Tower – Help Them Project to help children and their parents, during the treatment of oncological diseases. 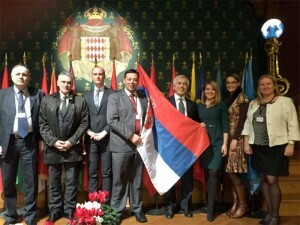 From left, the Director, Professor D. Djorje Bajec, Sonja Spirito, attache of the Ambassador Alberto diLuca at the center of the photo, the President of Nurdor, Todor Mancic, and the Major of Savski Venac Tomislav Djorjecic. A basis for freedom of religion or belief? Moderated by Mirjana Prljević of Civis, left in the photo, the Conference has seen estiguished speekers as His Grace Bishop Irinej of Backa (third from left), H.E. 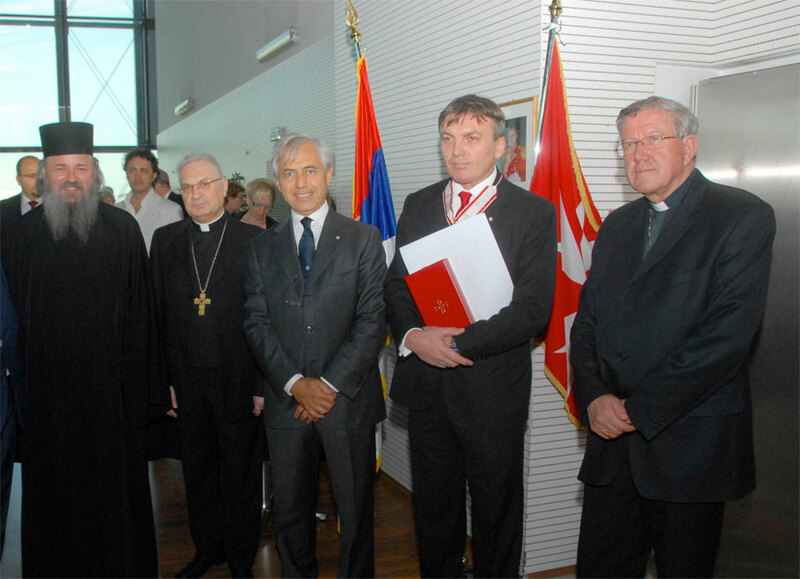 the Apostolic Nuncio Orlando Antonini (fourth from right), the Archibishop of Belgrade H.E. Stanislav Hocevar (first from left). Among Diplomats, the Ambassador of SMOM Alberto di Luca. 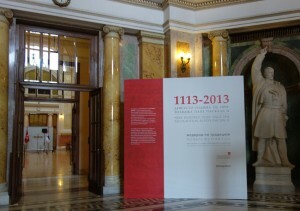 Novi Sad, 2012, May the 3rd. The Conference organized by Civis (www.civis-see.org). 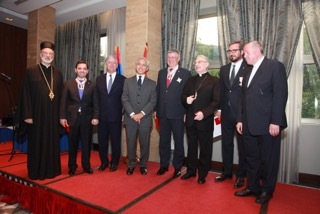 Invited at the Conference, from left the First Counsellor of the Embassy of the Order of Malta, Ferdinando Bozzo, and the Ambassadors Alberto di Luca, Clemens Koja, Erwin Helmut Hofer, Francois-Xavier Deniau, of ‘Order of Malta, Austria, Sswiss and France. Saturday, March 31st and Sunday April 1st the most important Serbian television have given wide coverage to support the initiative promoted by the Embassy of the Order in Belgrade, the Doctor’s Tower project. In Pink TV studios, form left anchors of the program, Ambassador Alberto di Luca, 24 Hours director Augusto Capitanucci and Savski Venac Major Tomislav Djorjecic. 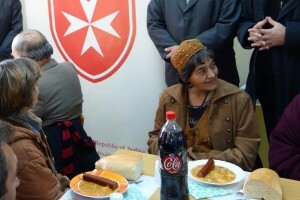 Italian friends of the Order of Malta, decided to donate, through the Embassy in Belgrade, hundreds of toys and new clothes for the children of the Government orphanage in Belgrade.